Jamaica's Prime Minister Andrew Holness and four other Caribbean heads of government have been branded as “weak-minded” by the Prime Minister of Antigua and Barbuda, Gaston Browne, over their decision to accept an invitation to meet with United States President Donald Trump last Friday. The meeting was called by Trump to discuss the ongoing turmoil in Venezuela and energy security among other issues. It was also attended by the leaders of St Lucia, Haiti, The Bahamas and the Dominican Republic, which is not a member of CARICOM. 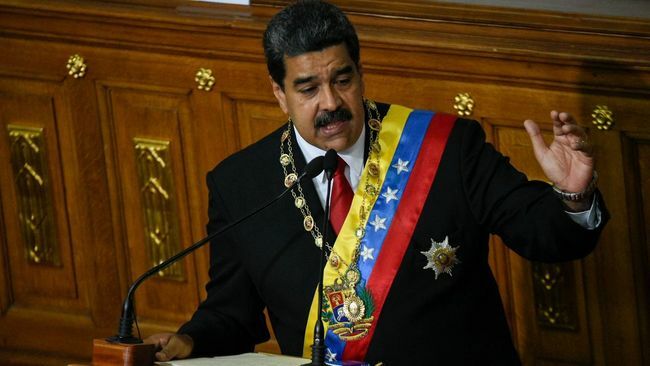 The Caribbean leaders invited had in January supported a resolution at the Organisation of American States (OAS) in not recognising President Nicolas Maduro's second five-year term. The US and 50 other countries have instead thrown their support behind self-proclaimed president Juan Guaido as they try to force Maduro from office, claiming his election illegitimate. 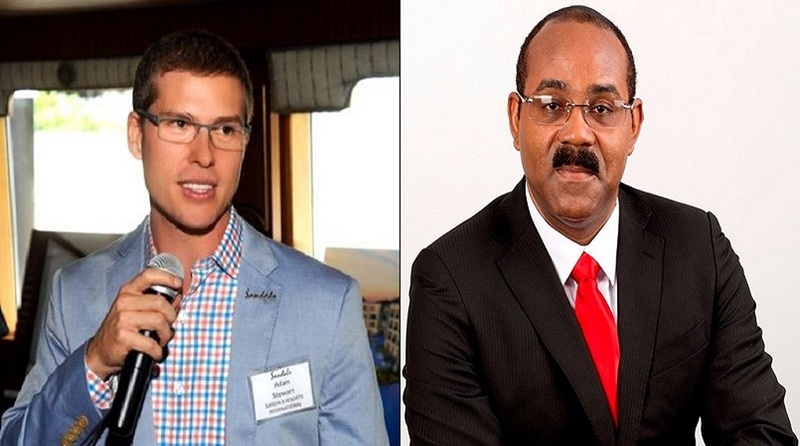 The attack by Browne over the weekend shows up a growing rift in CARICOM as it followed similar criticism by Ralph Gonsalves, the prime minister of St Vincent and the Grenadines who accused the United States of trying to divide the region. The prime minister of Trinidad and Tobago, Keith Rowley, has also weighed in on the matter. But, Browne was the most forthright, even questioning whether the five leaders were bribed. “I feel embarrassed for those weak-minded leaders who allowed themselves to be used by carrying out the agenda of others,” Browne wrote on his Facebook page. 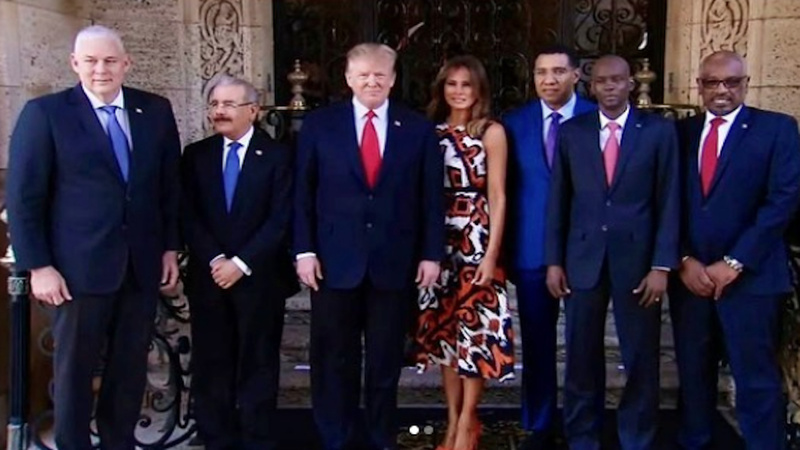 “CARICOM must continue its sustaining position by standing on principle without inducements or fear of reprisals,” Browne stated, a clear reference to reports that Trump had promised investments for the Caribbean countries whose leaders he invited to meet with him. The White House has said that a high-level delegation from the Overseas Private Investment Corporation (OPIC), the US development lender, would visit the five countries over the next three months. Holness said this was a significant development. “The message from this meeting is that the United States wants to encourage and promote stronger relationships with the region. It’s absolutely important that it’s not just talk – that there will be real investment,” said Holness of the talks. “There are some who are determined to undermine CARICOM’s solidarity and to relegate the region to an object of history. “The irony about all this, OPIC is already operating in these countries and China offers better credit terms: developmental loans over 20 years at two per cent interest with a five-year moratorium,” Browne stated. For his part, Gonsalves described the Trump meeting as “troubling,” while warning that mischief was afoot. “The mischief that some persons may be up to, to seek to divide us in a manner which we ought not to be divided and therefore reduce the extent of the efficacy of our work,” Gonsalves said. Gonsalves pointed out that CARICOM has an established mechanism to deal with matters like the Venezuelan crisis. 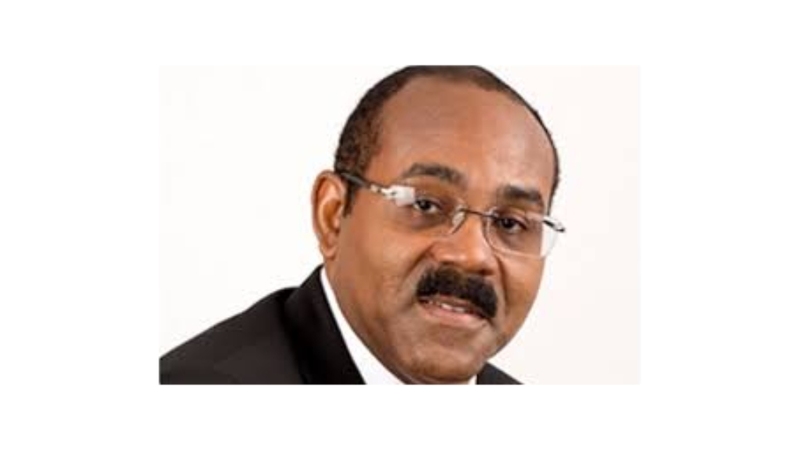 He noted that the responsible committee is made up of St Kitts and Nevis, whose Prime Minister is Dr Timothy Harris; Trinidad and Tobago whose leader is Dr Keith Rowley; and Barbados, headed by Prime Minister Mia Mottley. Gonsalves argued that for the meeting to be truly representative of CARICOM, the chairman, Dr Harris, who is the current Chairman of CARICOM would have had to be invited. Gonsalves has referred to the actions of the United States as “a creeping coup d’etat” against a legitimate government. He said that CARICOM will not fall victim to the entrapping of others. Rowley was addressing a weekly cabinet meeting. He told reporters afterwards that there were 15 CARICOM countries “yet the conversation is about four” a reference to St Lucia, The Bahamas, Jamaica and Haiti. CARICOM Leaders at their inter-sessional summit in St Kitts-Nevis last month reiterated their position of non-interference in the internal affairs of Venezuela and said they were prepared to mediate in the process to bring about a peaceful resolution to the crisis.